Christmas is just around the corner and homes around the world are showing their love for the festive season by bringing out their twinkling lights and Christmas characters. 4 in 5 Brits have admitted to going over the top with their Christmas decorations and for some, it has become a serious event. This year, homes are using thousands and thousands of outdoor lights and large inflatable decorations, some even working alongside a music show and carefully timed displays. One home in Peterborough takes one month to set up a staggering one million bulbs to create a spectacle like nothing else, while raising money for charity. From simple and traditional to larger than life displays, the world goes crazy with lights every Christmas! Two brothers in Bristol have been decorating their mother’s home since 1994, having raised more than £30,000 for charity. Each year, they switch on more than 50,000 lights in their family home. The pair have invested over £10,000 into their light display, complete with light up penguins, polar bears, snowmen and reindeer. It takes them six weekends to transform the house, attracts hundreds of people and costs £600 to run for the month, with various local companies sponsoring the display. 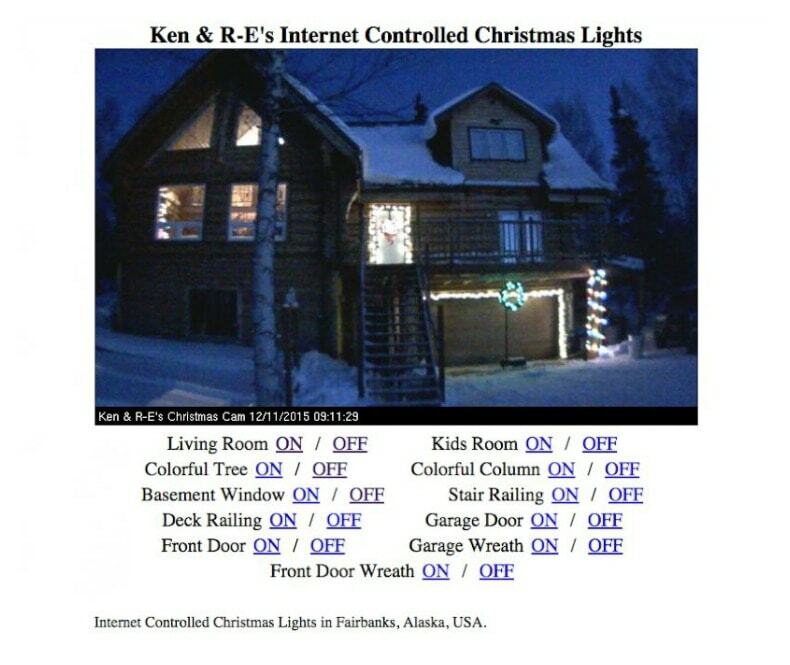 One family in Alaska has put their light display in the hands of the internet for the past six years. Viewers can watch their house in real time on their website and choose between 12 different sets of lights and decide which are on and off. The site has received millions of hits, especially in the past month. The family use LED lights in order to keep the running costs down and say they don’t notice the lights changing from inside the house. Homes in the Dyker Heights area of Brooklyn, NY decorate their homes to the extreme. The neighbourhood rallies together to put on a display like no other. Millions of Christmas lights are on display, some themed, some simple and traditional and some with giant inflatable Santa’s to greet passing traffic. The neighbourhood attracts thousands of visitors every year for the displays. One family’s Christmas lights show has gone viral on YouTube, with millions of viewers, and have raised thousands of dollars for a charity which provides clean water in Kenya. They were featured on “The Great Christmas Light Fight” in America and started their light shows two years ago, but they aren’t your normal display. The home has no inflatables, no characters or models, instead they use Pixel lights to cover the front of their home in an elaborate display. The display takes months to set up and even longer for programming, but the pay off is worth it! One home in Cabot, Arkansas decked out their home in a ‘Frozen’ themed display, with the lights synced to the Disney film, which are projected onto the roof of the garage. Viewed by more than 16 million people, it has been a hit online and inspired many other ‘Frozen’ themed displays around the world. A house in Germany has been covered in more than 400,000 Christmas lights from 60 power sockets, creating an impressive display that has been lit up for 15 years. It is known as the ‘Christmas House’ and attracts hundreds of visitors each year. The family sell mulled wine and bratwurst as a way to help fund the lights, which cost them an average of €3000 to run. We have been lighting up the outside of our homes since the 1960s, beginning with a small string of lights and it has snowballed ever since! 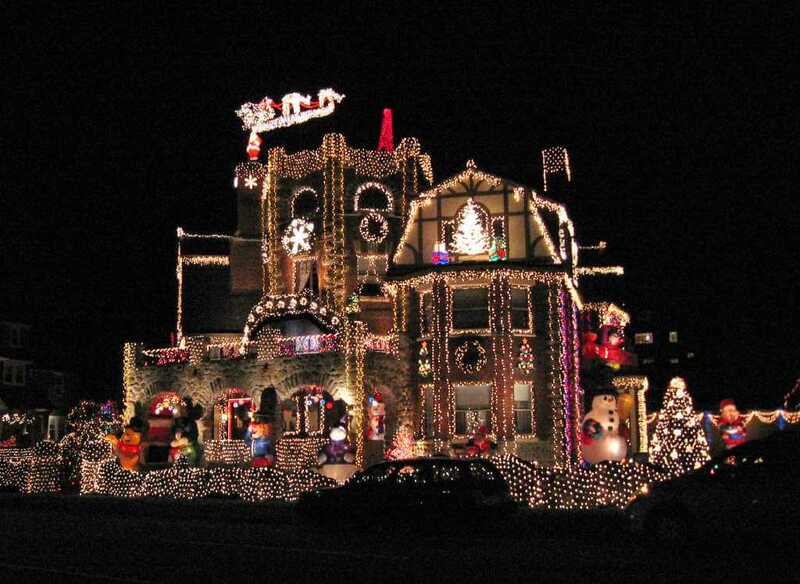 It’s clear to see that America dominate the Christmas light extravaganza, but Brits are eager to get into the spirit too, with 90% decorating their homes and garden this festive season. Get into the festive spirit this year by putting up some lights outside, but remember to check them for any faults and use only outdoor lights outdoors for a safe Christmas! If you enjoyed reading all about these over the top Christmas light displays, find out how you can create one of your own with our LED Christmas Lights guide!